Today has been a login of necessity day. I saw that criminals from remote places had broken into a couple of my online accounts. So, I am trying to get control of them. This is my computer,and it is not shared, and this apt is not shared,and my isp acct is not shared, and my phones are not shared; and those who break into my accts from faraway places are criminals. For the record, my 2nd exhusband never lived in this apt, never had his hands on any phone I have, never was authorized to login too any email acct of mine nor any hosting account of mine. He is a felon, and a violent dangerous person who as far as I know lives in Colorado [or ?? ?-- only GOD knows probably.] He has not lived with me since March 2007 [which was in Aurora, Colorado ]; and as GOD is my witness he will never live in any dwelling I live in again. I moved to Missouri on Oct 31,2009 after divorce from him in Arapahoe County Colorado in Oct 2007. I removed the Pappas name from my name forevermore by order of Judge after that 2nd divorce. Consider this a legal notice. My 2nd exhusband with initials DBP [the FBI knows his full name and it's on marriage license to me in Dec 2002, and divorce decree from him in Oct 2007] is not authorized to enter my apt, or my land in Georgia, or get or give info about me. He does not represent me in any way. He does not speak for me. He is not my agent. He is not authorized to have any art I created or any photos I photographed, or any of my possessions. He is not authorized to sign my name. He is not authorized to bargain with my possessions, or sell any thing of mine. He never worked with me in any capacity, and I never worked for him in any capacity. He was never my business partner. He is not authorized to call up my accounts to get info or make changes to any acct of mine. He is not authorized on any financial account of mine. He owes me 1,051,060$ and owes me money going forward for injuries he caused to me in July 2006 in Aurora, Colorado; and another 10 million for trying to use the federal court to steal my name, and identity and family in Jan 2009. He is my worst enemy on the earth. And I will do my best to kill him if he ever comes near me again or comes through the door of my apt . He has been warned not to trespass. This profile that was an attempt to disguise my name is to an acct of mine that is not shared and never was, but that was broken into often from remote, that I am still trying to wrest control of away from criminals. And other prolife blogs I create/ write.
. You can look at the attempt to hide my name and figure it out--that it is not coincidental but intentional to try to literally black me out of the web, for opposing a violent man who tried to kill me. When I logged into that profile this morning it had a solid black page with my photo of art I painted yrs ago. I hate the color black and never wear it as a dress except to funerals. It gives me a drained, washed out look, not becoming to me. I changed the profile today to a beach scene since I was born in a coastal state [Georgia]. If when you view that profile if it has a solid black background you will know it was hacked again, probably by stalker, criminal, murderous DBP. I have discovered long ago, that publishing something on the web is the only real way to make a change. Hosting companies tend to think that women [like me] are too stupid to know how to code, or how to make websites, or maintain computers. They assumed that my then-husband was doing all of those tasks simply because he was male. It makes me sad that six years after divorce from him, he still manages to con companies to get my info. Of course, those companies are complicent in the theft of my identity because they refused to change my address even though I changed it myself online before I moved from Colorado in Oct 2009; but they gave him my passwords and he changed it backwards. They allowed a man I was divorced from to call up using the info of my accounts they mailed to him, to steal domains of mine and sell them to the sort of ungodly people I would never have sold them too. Gloria Poole is my real born with name. It is an honorable name from a long line of Pooles in the state of Georgia. It is my birthright name. It was also my professional name as RN for many years and iis so again since I resumed my maiden surname of Poole by Court order in Oct 2007. 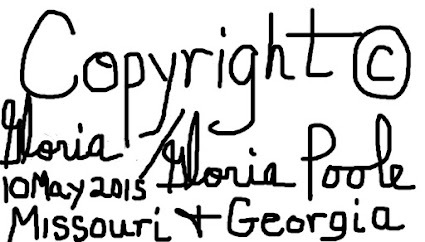 Poole was also included in my signature the two times I was married ,but written as my middle name when married. I am entitled to use my name. 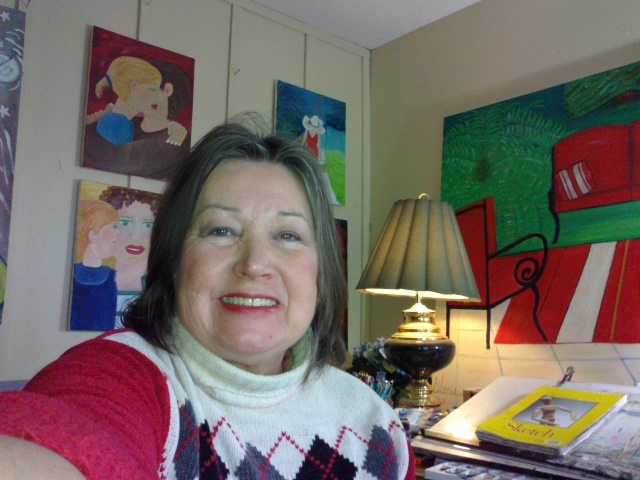 If criminals stole my domain names it does not change the fact that the name Gloria Poole belongs to me by birth certificate, by passport, by credentials going all the way back to my birth in Georgia. Gloria Poole; at my apt in Missouri; 25-June-2013; 10:07am.